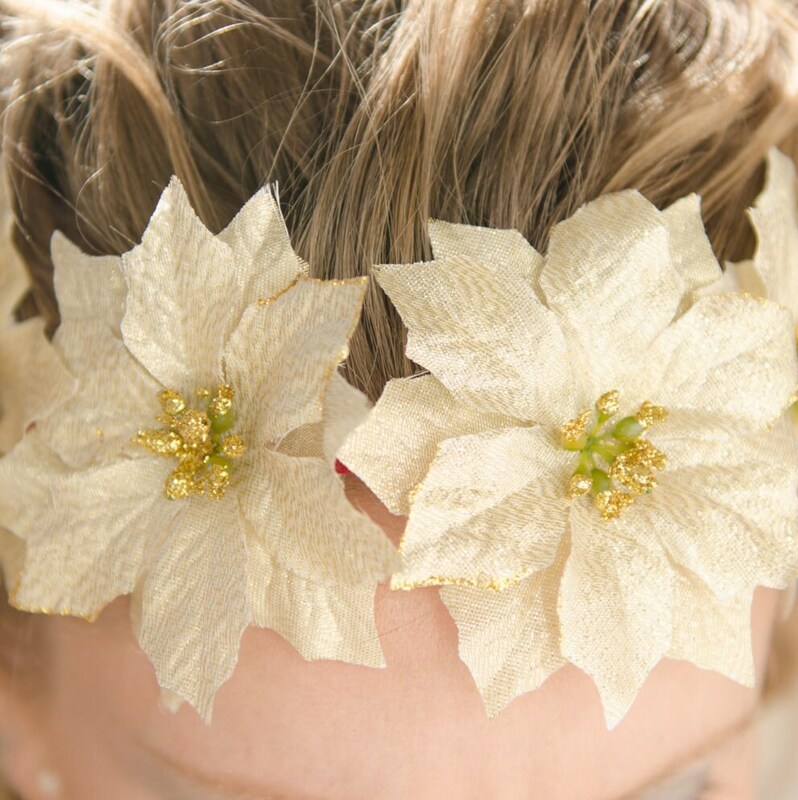 This Christmas / holiday flower crown has gold poinsettias, each flower hand painted with gold diamond dust to add sparkle and shine to this beautiful piece. This crown also features a red leather tie band with colorful beading detail at the ends. 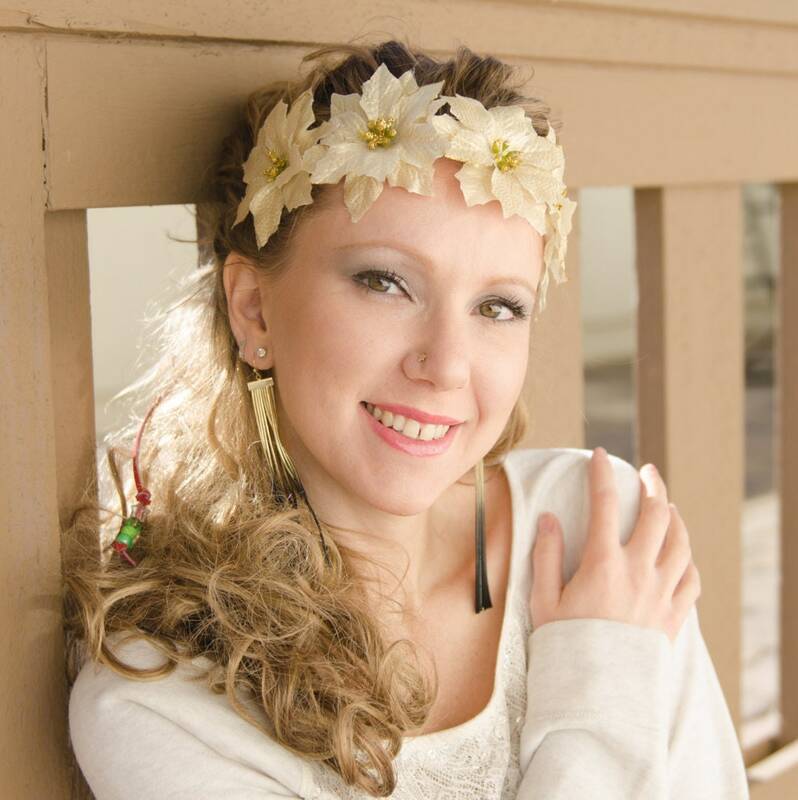 Wear this flower crown to any occasion, concert and festival--it can accent any outfit perfectly! Product Details: 1 Halo is included in this purchase. 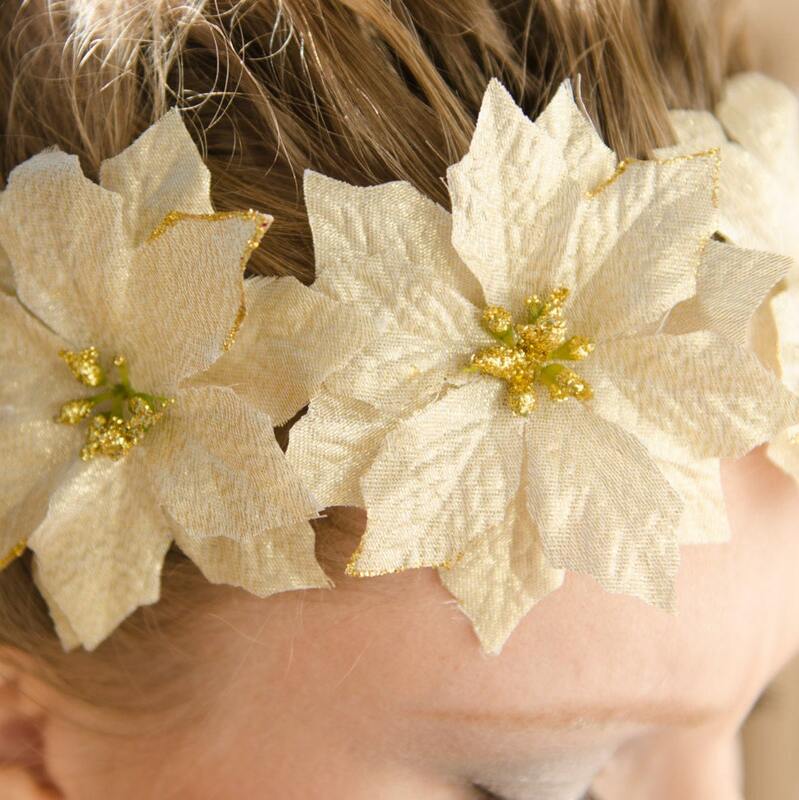 The poinsettias are hand painted with gold diamond dust to add sparkle and shine to this beautiful piece. This halo features a red leather tie band with colorful beading detail at the ends. 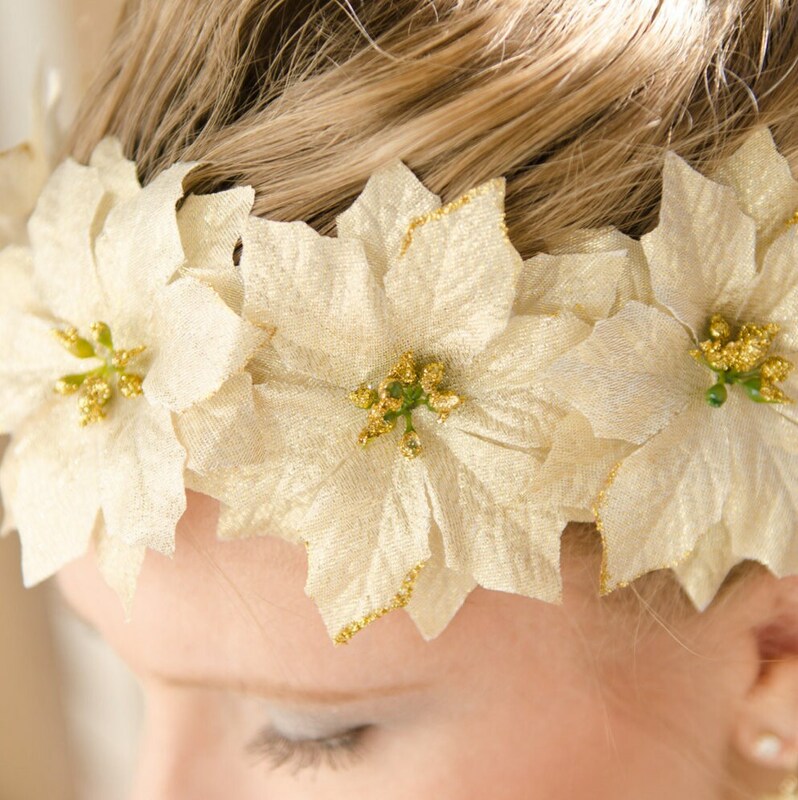 When wearing, the flowers will sit around the front of your head (see images). The colorful beading detail at the ends will be visible behind you once you tie the leather bands around your head. The leather bands provide a secure and comfortable hold around your head once tied.